Dr. Williams, PE performs technology assessments, forensic investigations, and financial valuation services for explosions, fires, industrial accidents, and equipment failures in oil & gas production, oil refining, power generation (boilers, steam, turbines, electricity production) energy systems (gas, oil, coal, renewables), chemicals, plastics, steel making, glass making, biotechnology (citric acid, succinic acid, enzymes, ethanol, butanol), and renewable energy (municipal and industrial waste to energy, biofuels, cellulose/cellulosic, gasification, wind) facilities. Recent Expert and Litigation Support services have included technology investigations, assessments, licensing and dispute resolution; forensic investigation of explosions, fires, and equipment failures; valuation and appraisals in ad valorem taxation, depreciation, obsolescence, and determination of fair market value, liquidated, and business interruption damages. 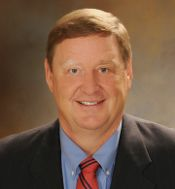 Dr. John Williams provides expert analysis and testimony for litigation including forensics, breach of contract lawsuits, taxation or valuation disputes (including ad valorem taxes on industrial property and real estate), and intellectual property disputes. He evaluates with first-hand, practical knowledge of engineering and technology operating practices. EPS Founder and General Manager Dr. John Williams, P.E., is a sought-after licensed professional engineer practicing in the energy and biotechnology industries. A results-driven engineering consultant and featured lecturer, he provides active industry knowledge gained through 35+ years of experience. Actively practicing in analysis, engineering design, and valuation consulting in technology development and operations; a Ph.D. in chemical and fuels engineering; and an M.B.A. in finance from the University of Chicago, Dr. Williams offers a unique synergy of solid engineering knowledge and business acumen that extends from concept to completion, and from the operating unit control room to the boardroom or courtroom. A licensed Professional Engineer, Dr. Williams has over 37 years of engineering experience and has led EPS a full-service engineering firm for 23 years delivering engineering, procurement, and construction management services (EPCM). Dr. Williams operations experience began in 1977 as an equipment operator in the United Steelworkers union and his engineering experience has ranged from manufacturing operations, detailed design, failure analysis, troubleshooting, cost estimating, finance, and project and construction management. Dr. Williams has been recognized by the Institute of Chemical Engineers (AIChE) and American Society of Mechanical Engineers (ASME) as an Instructor since 1996. Dr. Williams has developed and delivered project management, cost estimating, financial evaluation methods for the international engineering institutes. He has authored and presented across technical topics and has received awards for his distinguished engineering work.